In a bid to recover from the blisters created by its 2016 disaster – the Galaxy Note 7, Samsung is now bracing its soul for its upcoming flagships – the Galaxy S8 and the Galaxy Note 8. The company might bring the foldable display concept to reality with its 2017 Galaxy Note lineup. For the Galaxy S8, Samsung might pack it with dual display (front and back). If reports are to be believed, Samsung is looking to bring a significant design shake-up for its 2017 offerings. The South Korean giant wants to re-create its image by bringing the cutting-edge technology regarding displays. All this might also fetch the much-needed boost to its financial position, which dipped due to the Galaxy Note 7’s recall spree. 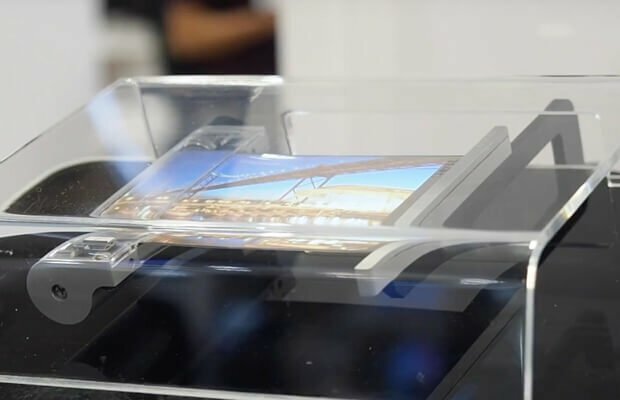 Earlier reports suggested that Samsung might also incorporate bezel-less design along with the foldable functioning of the displays. Now, the latest reports also indicate that there might be dual-display on the upcoming Samsung flagships. The dual-display means that there will be front and back displays. The Galaxy S8 might be the one with dual-displays while the Galaxy Note 8 would come with a foldable display featuring OLED screen. Also, Samsung will be upping the game by offering 256GB of internal storage. The forthcoming Galaxy phones might also see Samsung getting rid of the physical Home button to support the bezel-less design. If these reports turn out to be true, then Samsung will be the first company to bring such radical change in display technologies. All this will create bustle among its rivals such as Apple and Google. Apple is already working on the iPhone 8, which is rumoured to sport an OLED bezel-less display. To conclude, the year 2017 seems to be packed with a lot of excitement as we might finally get to see an evolution in the arena display technologies on smartphones. What’s your take on the upcoming Galaxy S8 rumours? Share your thoughts through the comment section below. Not interested in a foldable phone. Sounds like another feature that could easily break. How would even be able to put in a case? The Note 7 was the best phone on the planet. Don’t mess with what was almost perfection.